The building & construction industries along with the oil & gas sector are the major marketplaces for pipes and tubes. With the booming markets, the future of pipes and tubes looks bright. Significant consolidation and rationalization of excess capacity has occurred in some segments, while cost containment and improved quality control measures have led to productivity gains in pipes and tubes industry. The industry is expected to experience considerable change and varying growth rates. The global export market of the steel pipes is stated to be close to $27 billion a year. The US, Europe, Australia and Japan are the biggest importers. India is amongst the major exporting nations. Steel pipe industry in India consists of firms mainly engaged in manufacturing seamless or welded steel pipes or tubes or ferrous metal pipe or tube fittings. 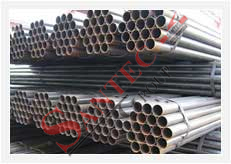 Seamless steel pipes and tubes are widely used in industries like hydrocarbon, processing and general engineering. Seamless pipes are used where strength, resistance to corrosion and product life is crucial such as boilers, ball bearings, automobiles, chemical plants, fertilizers, petrochemicals, industrial machinery, etc.